Hey Guys! 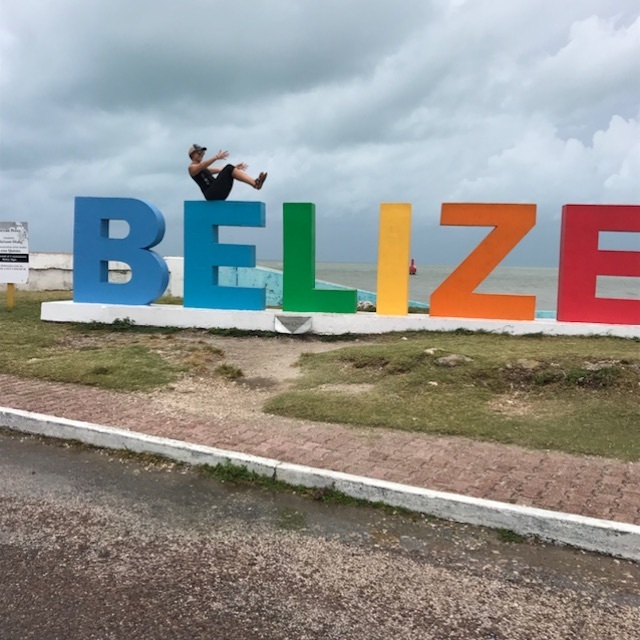 I had the chance to travel to Belize for a 30hr Yin Yoga Training last week and wanted to share the trip with y'all. So, here's the thing - this whole trip happened in a matter of 3 weeks. It was a flash of planning, organizing and re-arranging clients to make it happen, but it happened thanks to a sweet, sweet friend & yoga student. 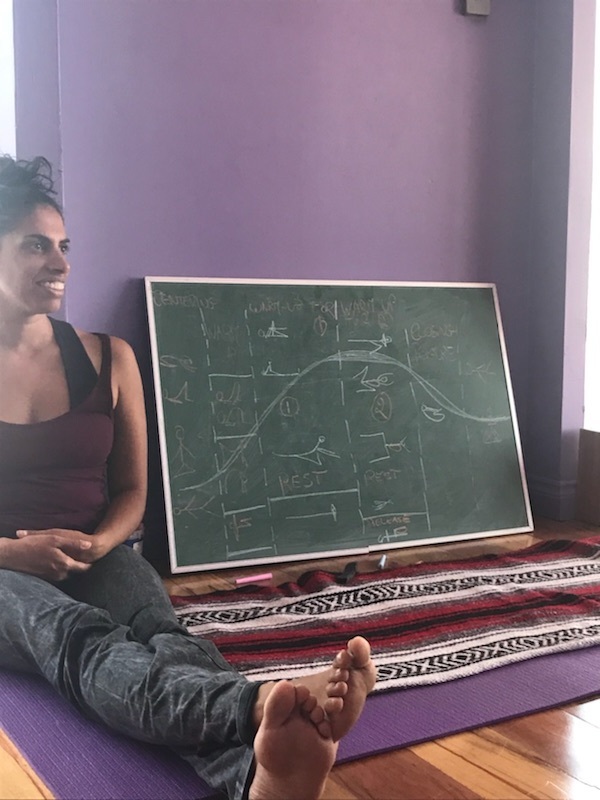 I've been itching for more Elemental Yoga Therapy since I left Bali and was craving this training with my first EYT teacher, Sofia. Sometime in June I realized it just wasn't in the cards - despite the reasonable pricing, I couldn't afford it. 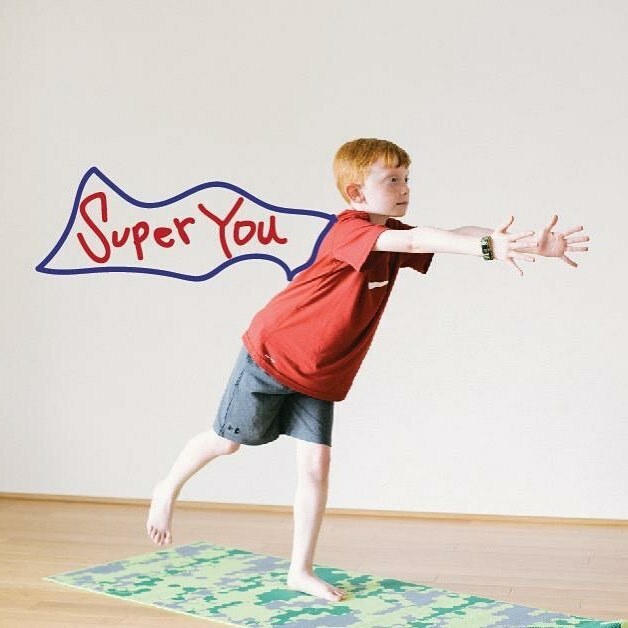 Flash forward to the end of July, when said sweet yoga student came to my Saturday yoga class at Villager Yoga. We were catching up and I shared with her how badly I wanted to do this training, but couldn't at the moment. Her eyes lit up. She had enrolled in the training, but could no longer attend. She wanted to GIFT me her spot. GIFT. GIFT. GIFT. I crumbled - how does one receive such a gift. I couldn't? Could I? Could I simply accept? The norm of reciprocity says that I "owe" something. But I didn't. She was thrilled I could attend. THRILLED - without hesitation, she passed the torch to me and we set the wheels in motion for me to take her place. Together for the first time in 3 years! The finances were still tight even with her gift, and I casually mentioned the trip to a college friend I hadn't seen in 3 years that she should come. SHE CAME! I landed in Belize City on a Wednesday. Belize City is not really a place you want to spend much time. I spent the day exploring then had a wonderful dinner with the training crew at Om Shanti Cafe & Retreat facility. Om Shanti is this little haven in Belize City. They have fresh juices & food + a gorgeous harbor view, fresh food & a sweet little yoga studio. We stayed at The Great House Inn - which was LOVELY! I think most people just stay there as an overnight before the islands, but I stayed 5 nights. They were crazy nice & accommodating. The Raddison is right across the street & has a pool, which is where I met Erin every day after class. There's really not much to see or do in the area, but Erin made the most of it while I was in training. 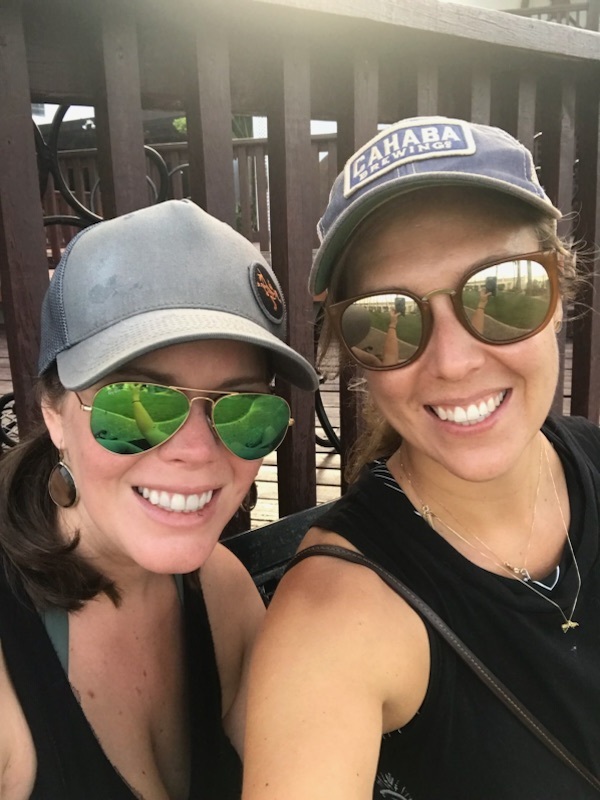 She booked excursions like cave tubing, a zoo tour & a killer zipline ride and by the time we left, all the locals knew her by name - which REALLY helped us score a deal on the ferry & find an ATM that would accept our US credit cards. 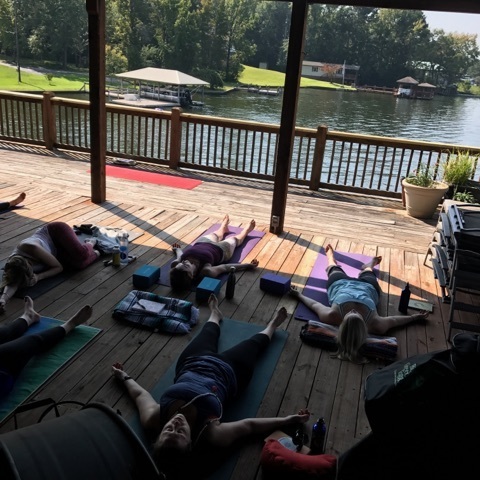 This was an Elemental Yoga Therapy training with a focus on using yin yoga to connect with and release the Central Nervous System from the stress captivity we live in. - which is where the body THRIVES, but as modern day folks, we RARELY get to experience that sort of release. Once training was over, Erin and I took a 45 min ferry to Caye Caulker. It's a small unassuming island with zero cars & 100% vibrancy! We took a 5 minute water taxi to a close island, Coco Caye, and lived it up for our short island visit! Coco Caye is GORGEOUS! It's an organized beach with crystal clear water, a restaurant/bar & over the water swings - ultimate vacation vibes! 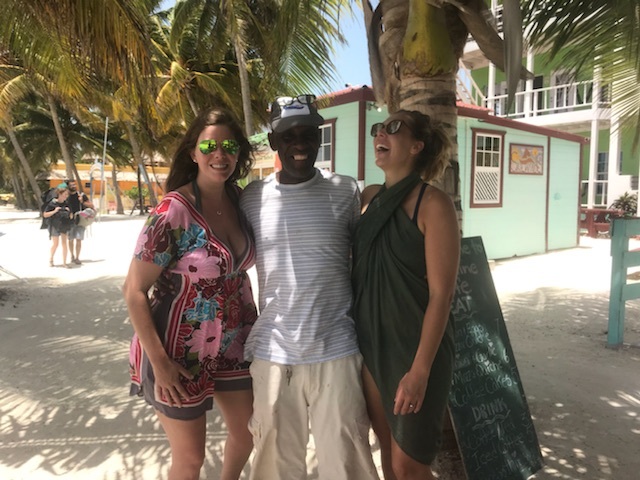 All in all, I'll definitely be back to Belize! 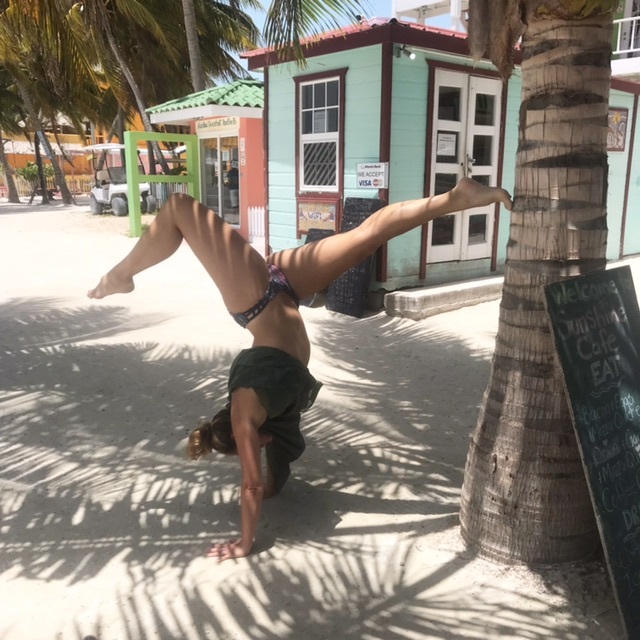 I travel a lot and rarely go back to the same place twice, but Caye Caulker stole a little piece of my heart, I'll be back! Have you been to Belize? I'd love to hear about! Leave me a comment about your experience or any questions you have! I hope everyone is checking items off on their bucket lists. I know I am! It has been a busy, but an exciting summer filled with friends and family. With traveling every weekend, I haven’t felt grounded in myself and my emotions have been all over the place. Being mindful of your feelings and others is important. Discussion of feelings can be difficult for anyone. A tool that has worked for me and my students in the classroom is having a journal to express thoughts, feelings, ideas, and a place to just be yourself. (Fun Fact: One of the reasons I became a teacher was to let as many children know don’t give up and your wonderful just the way you are). Looking back, I wish I would have had the tools of mindfulness + journaling to help me work through tough times in school. 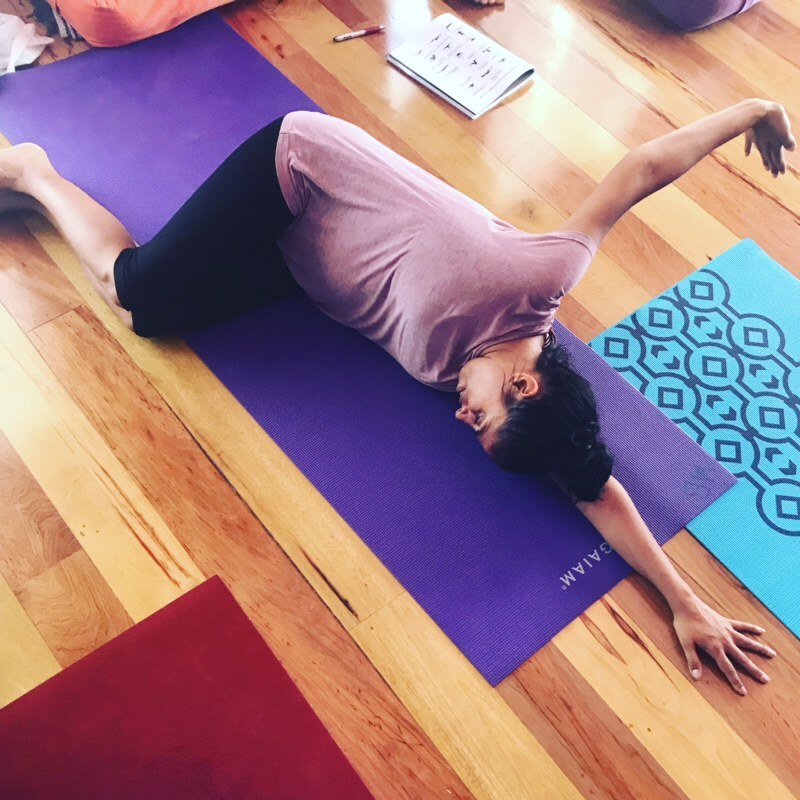 Through the yoga community, I have experienced the power of journaling. It's taught me so much: I have become mindful of my feelings and others, learned how to regulate my reactions to certain feelings and help others with theirs, be less reactive and just understand the root of my feelings. Kids are no different - they want to understand. We must respect all emotions. We all feel happy, sad, mad, frustrated, etc…, so let us learn to be mindful of our own emotions and others without judgement. Journaling is a time to be with yourself working and breathing through a challenging emotion or moment. Journaling allows you to see and release your emotions. Journaling helped me find my voice. Let us ALL find our voice. You can start with buying journals for everyone in the family or each creating your own. Then on pieces of paper write specific topics and opportunities to free write. Take the pieces of paper and place them in a jar. Pull a topic from the jar once a week, twice a week, or what time allows for your family. Be sure to create a few simple ground rules and discuss as a family. 1. Be mindful- Be sure your writing with kind words about yourself and others. 2.Privacy- If your child doesn’t feel comfortable about sharing their thoughts from their journal then allow them that space. If you or a sibling sneak a peek without permission then you may lose their trust. 3. Sharing and Caring- Sharing your emotions is just as important because you don’t want to keep it “bottled up.” Not all families are the same. Some family members are outgoing and comfortable talking about their emotions, while others are scared to discuss their feelings - it's ok to explore this dynamic with your child. We must try to care and respect others who may have a difficult time expressing themselves. If you or anyone in your family is struggling to discuss their feelings then give them options to share with someone they are comfortable with(another family member or counselor). 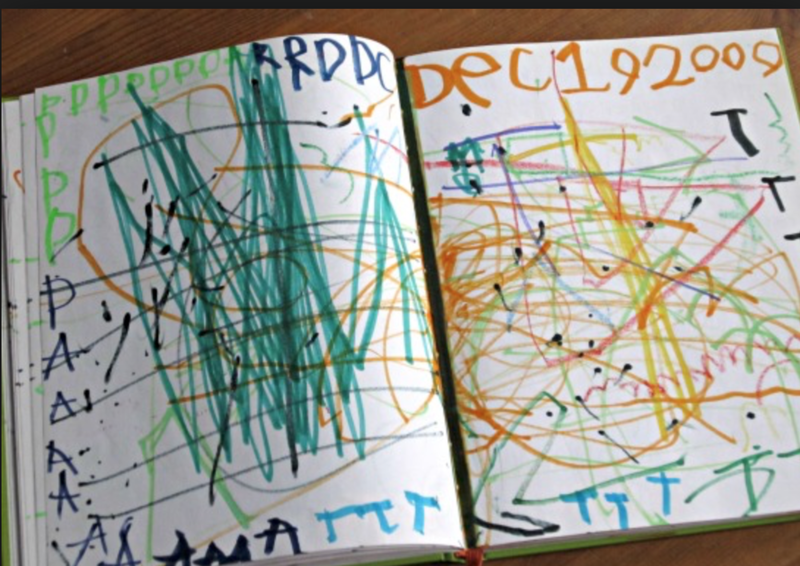 If you decide to share your journals then you will be amazed that sometimes we all feel the same. We are all connected. While a person is sharing, hold space for them to feel comfortable by non-reaction listening. When they are speaking, be mindful of your thoughts and actions. Try not to think of what your going to say next and show the person speaking that they have permission to express themselves. Everyone wants to feel heard. You can incorporate and modify creative ways to journal. Let us find what works best for you and your family. It doesn’t always have to be the same. You can mix it up. Be creative and remember to be you. Free write/type. You choose. *Children learning to write can trace over their highlighted words. Continuous writing.Set a timer for 3-20 minutes. Don’t think, just write, don’t pick up the pen, just write, and you’ll be amazed at what you discover. Specific Topic writing/type. *If writing isn’t for you then find a time to discuss what is on your mind with yourself or with someone you are comfortable with. Gratitude List. List what you are thankful for. Don’t forget, your family and another family are not going to look the same. Do what is best for you and all the unique and beautiful members of your family. Leave us a comment below and let us know what worked for your family. Hey friends, Laura here! I'm so excited to share with you this summer! I thought we could kick things off with a chat about what mindfulness actually is and how you can incorporate this concept into your family and summer activities. I mean, who doesn't want to feel true connection with your kids and enjoy a summer full of fun & soul. As a parent, you know that summer can be exhausting and move by too quickly. Instead of thinking about this in terms of DOING MORE, let's look at mindfulness through the lens of being purposeful. So, what exactly is mindfulness? Mindfulness, in my mind and heart, is taking in every moment and feeling without judgement. Mindfulness looks like being here now when talking to one another, staying present during the simple tasks like washing the dishes, driving or eating food. It's about noticing the little signals and feelings of your body and mind throughout the day. It allows us to have Mind Full of Love. Kids are actually pretty great at being in the moment, but learning how to articulate their feelings and discovering coping mechanisms takes time. As parents, guardians, and teachers we can guide our children to practice being mindful of those emotions and how to balance and cope with them. When you open discussion with your kid(s) try to use vocabulary that allows your child to connect with you on their level, not yours! Don't open a conversation with a specific goal or agenda, simply follow their lead. A great starting point is talking about feelings and emotions. "What is sad, happy, shy, frustrated, or mad?" "What does it feel like when you have each emotion?" It's important to let your children know that their emotions are valid and acceptable. Remind them that feelings will constantly change moment to moment, but identifying each feeling is helpful. During a family discussion time, try sharing an example of a moment you felt sad or mad. Express how you were able to cope with that challenging moment in your life, through breath, seeking support or journaling. In my years working with children, I have noticed they love having something to relate to and someone to relate with; so don't be afraid to be vulnerable with them! To practice mindfulness as a family, take one of your simple daily tasks and discover the present moment: feel the body here & now, notice your breath, listen to the sounds around you, recognize the feeling in your feet, hands, and entire body. Throughout the exercise remember to breathe in a Mind Full of Love. Try to complete the exercise once a day together or separately for a week then at dinner each night discuss your experiences. The book, Unstoppable Me, by Wayne W. Dyer is a great map piece to explore mindfulness and feelings! The 10 important lessons in this book include the value of taking risks, dealing with stress and anxiety, and learning to enjoy each moment. Each point includes an example showing how a child might apply the concept in his or her everyday life. There are questions at the end of the book to help spark discussion and to further reinforce the author’s message. Leave us a comment below & let us know how this works in your fam! Spring Retreat Crew just before we dug into all the recipe prep! I've got a super simple & versatile recipe to share. You will always see some variation of this on our weekly menu because it makes a ton, is easy to change according to the seasons, and can be used in multiple ways - below you'll find my fav way to make it a main dish. This recipe is 100% Spring approved! (in fact, we made it at the most recent Elemental Living Community Retreat!) The base is chocked full of nourishing foods that hydrate, nourish & naturally detox the body. It’s also easy to convert into even more festive dishes! For example, I added cilantro & jalapeño to the base & used this slaw (sans toppings) for a fish taco night - YALL, it was a huge hit! When you download the spring guide, you’ll see that sprouted nuts, seeds & beans are part of the deal. Sprouting foods is nourishing to the body right now, as we are naturally craving lighter foods that are easy to digest! If you’re new to sprouting - it’s OK! So was I, until I tried it. :) But it’s waaaaaay easier than you would think and super beneficial. Simply pour water over your choice food & soak for 12 - 48hrs. Then rinse & drain. You can actually eat them “raw” as toppings! I used sprouted pine nuts & mung beans for this particular recipe, but lentils, walnuts, almonds, chickpeas or white beans could all be delish while providing protein & fat! Now, back to the Spring Slaw Recipe. As I said, this recipe makes A TONNNNN - you can absolutely cut it in half if you don't think you're house will make it through a whole batch in 5-8 days. TIP: For an easy, DIY veggie wash you can check out my youtube video! Sunday was a big day! I hosted a lovely group of women on Lake Martin for the first (but not last!) Elemental Living Community Retreat. I am so grateful for the fun and time we shared - scroll to the bottom to see a few pics! The day was spent connecting with the Earth element and learning ways to embrace belonging - with ourselves and those around us. The idea of belonging can be pretty emotional. Many of us go through our days scrolling social media and having constant interaction, but still feeling isolated, disconnected or misunderstood. How do we have meaningful connection that honors our Self? How do we have meaningful connection with other without over extending? How do we create space? And how do we do this without adding additional stress, guilt or items to our to-do lists? You probably already have some you may not even realize - I did! I've put together a list of some of the habits or rituals I've used and enjoyed throughout the years. These are all suggestions. Maybe you pick a couple to try from the list below or perhaps they inspire you to create something unique for your lifestyle! Yoga - DUH :) Try a post that makes you feel strong & energized, like this lifted warrior. Essential oils - Citrus & Mint are both energizing and great for a morning boost. Try diffusing one as you get ready or even putting a splash on your wrists to enjoy throughout the day. Energizing Tea - Black or Green teas contain some caffeine, but are not quite as high as regular coffee. For my caffeine free folks, try a ginger or peppermint tea to wake up - both are great for digestion too! Space Clearing - palo santo, sage, sound (bells or singing bowls). Palo Santo is my favorite, as it promote wellbeing and has a sweet smell. I light it every morning when I wake up. Journaling - you can use a prompt, like a quote or simply jot down 3 things you're grateful for - don't forget the little things! Timed Breathing - Start with 1-3 minutes. Place a hand on your belly and one on the heart. 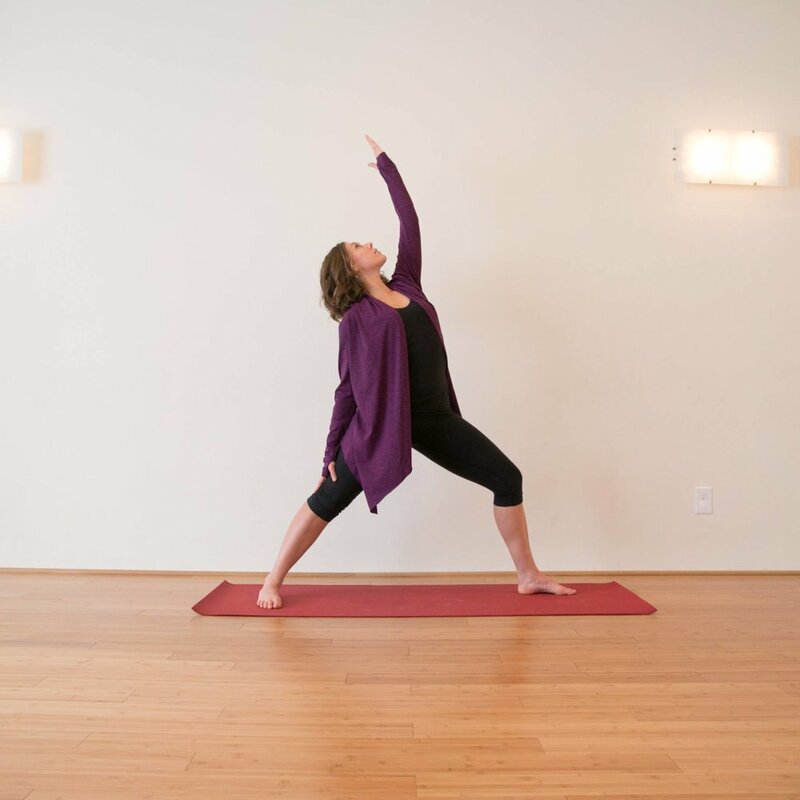 Draw your focus to the flow of your breath in and out of the body with emphasis on the exhale. Cold Water - run cold water over your hands, splash your face or even blast your body the last 30 second of your shower to boost circulation and give you a physical reset or cleansing feeling. Body Scan - starting at the bottom of the feet, bring awareness to every part of your body moving up the tops of the feet, shins, calves...etc until you reach the crown of your head then back down again. Pair this with long, deep breathing with emphasis on the exhale. List making - for my overwhelmed clients, I encourage them to do a pre-bedtime brain dump. Write down all thoughts, tasks, fears or stressors then leave it alone. Getting it onto paper takes the responsibility off of you to remember everything and helps promote sound sleep. Yoga - try something gentle like placing your legs up the wall to calm you from the day. So - do you feel inspired to try 1-2 of these new habits? Let me know what you try and how you like it! Remember, you belong in your body. You have every right to do exactly what works for you! Sign up to stay nourished with newsletter updates on mindful living, food, and finding balance. Thanks for joining the Emilie Maynor Living wellness journey!